Eyes on Buderim is a small personalised optometry practice which aims to be a cut above the corporate branded eyecare providers by being more thorough and more personal. We were established in 2013. Eye examinations are done solely by Graham Bohl our optometrist, not an assembly line of helpers. This continuity ensures subtle eye problems don’t get overlooked. We pride ourself on our use of technology. Each test includes the very latest laser scanning OCT and digital retinal photography as standard. We also use the feather light iTouch tonometry (eye pressure measurement) so you don’t need to get a blast of air in your eyes. Our designer frames are a little different. If you get some glasses from us it is very unlikely that you will see the same glasses on someone else. They are mostly European and made to the highest standards and are covered by a 2 year warranty. We also have a budget and ‘no gap’ range when just a simple frame is required. Our lenses incorporate the best and latest technology, and we have all the options for thinner, lighter, anti reflective lenses with or without tinting. If you need multifocals you have the option of the most intricately ground lenses to give you the widest fields of vision for the ultimate in visual comfort. And of course we have access to standard lenses if just a simple pair of glasses are all you need. 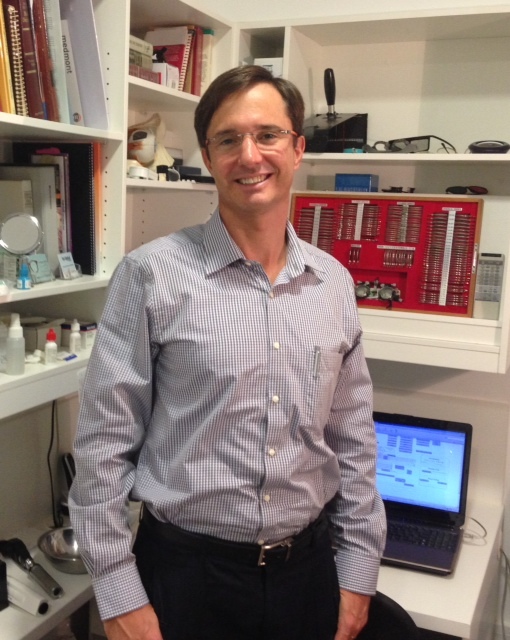 Graham Bohl Optometrist graduated optometry in 1991 and has worked on the Sunshine Coast since then. He has most recently worked in the main street of Caloundra from 1997 to 2012 and is excited to have set up Eyes on Buderim in 2013 so he can enjoy working in his own practice. On weekends Graham plays tennis (badly) and does some swimming (slowly these days). Kim Bohl. In her role as practice manager, Kim does all the frame buying. 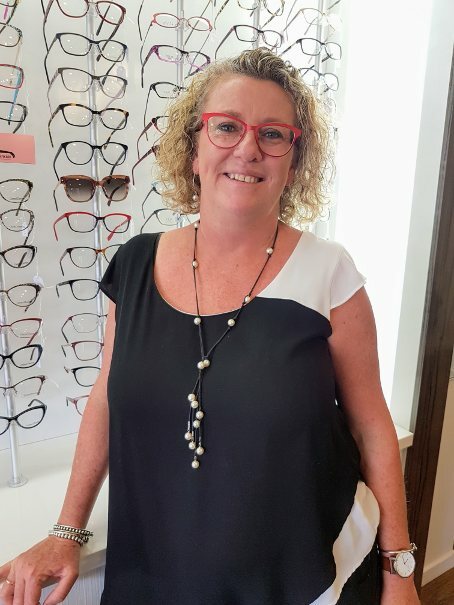 With a love of fashion and a keen eye for design Kim takes great pride in carefully selecting eyewear brands that are fashion forward, practical and striking! Kim loves walking her pet Cavoodle Humphrey and looking after her two sons. Jane Wade. Jane has been in optics since July 2000 and has loved fashion for years! She is passionate about finding the right frame for the right face! In her spare time she enjoys winning the occasional trivia night and being an editor for her famous cat’s Twitter account. Karen Teljega. Karen started with the optical industry in Brisbane in 1990 before moving to the Sunshine Coast in 1994. 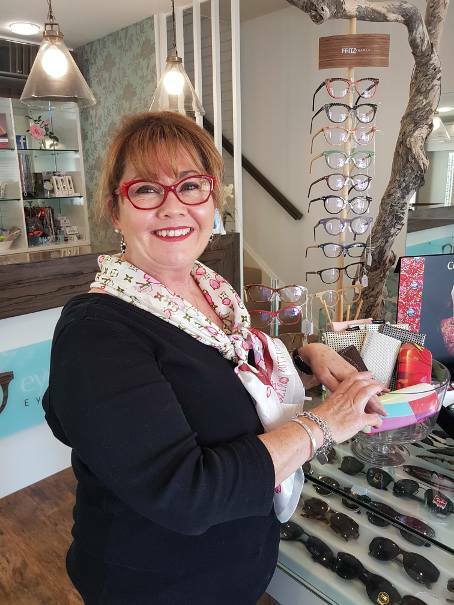 She has undergone many optical dispensing courses over this time and loves spending time helping people choose a frame that best suit their style and optical needs. She will have you looking fabulous! Karen is a dedicated mum to her super sporty and social children. Annie. Annie came to us with many years experience as an optical assistant on the Sunshine Coast. She loves customer service and finding just that right frame and fit for our patients.